Spotify produces high quality music in the stream music market. And Spotify Music Converter would not let go the quality of the music. 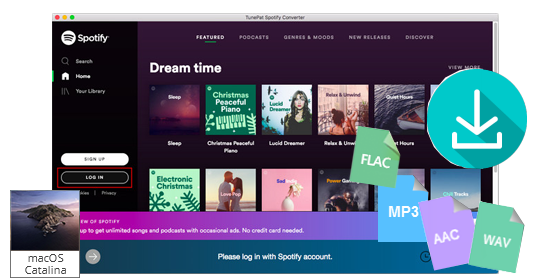 While converting Spotify songs or podcasts, Spotify Music Converter for Mac would not lower the audio quality so that Spotify music fans can enjoy the music with best output quality. 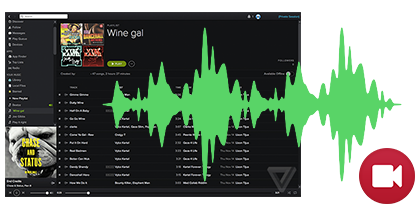 Spotify Music Converter can convert any audio formats in Spotify. Most users convert Spotify music to MP3, but also concerns about other needs. 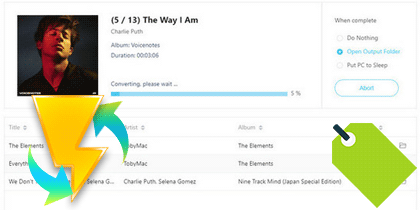 Now this Spotfiy music converter also supports converting Spotify song or playlist to AAC, FLAC and WAV format. In this way, you can enjoy your Spotify music on much more devices which support different formats. 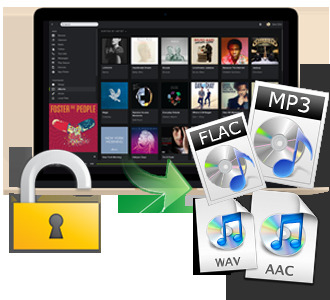 Encoded with innovative DRM decrypting technology, Spotify Music Converter is able to convert Spotify audio files in fast conversion speed, and keep original ID tags in the output file after conversion. So you don't need to leave the computer or go to sleep for a while to wait for the end of the converting. I was looking for a good, quick and easy option to be able to download the songs from my Spotify (Premium Account) so I can put it on my mp3 player that I use when I go work out. Your software looked promising. Copyright © 2019 Anvsoft Inc. All Rights Reserved.